1. Zai Jiantao, Cao Fenglei, Liang Na, Yu Ke, Tian Yuan, Sun Huai, Qian Xuefeng*. Rose-like I-doped Bi2O2CO3 microspheres with enhanced visible light response: DFT calculation, synthesis and photocatalytic performance. Journal of Hazardous Materials, 2017, 321 464. 2. Zai Jiantao, Qian Xuefeng*. Three dimensional metal oxides-graphene composites and their applications in lithium ion batteries. Rsc Advances, 2015, 5 (12): 8814. 3. Liang Na, Zai Jiantao*, Xu Miao, Zhu Qi, Wei Xiao, Qian Xuefeng*. Novel Bi2S3/Bi2O2CO3 heterojunction photocatalysts with enhanced visible light responsive activity and wastewater treatment. Journal of Materials Chemistry A, 2014, 2 (12): 4208. 4. 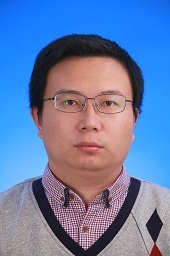 Zai Jiantao, Wang Kaixue, Su Yuezeng, Qian Xuefeng*, and Chen Jiesheng, High stability and superior rate capability of three-dimensional hierarchical SnS2 microspheres as anode material in lithium ion batteries. Journal of Power Sources, 2011. 196(7): 3650. 5. Tao Liqi, Zai Jiantao, Wang Kaixue, Zhang Haojie, Xu Miao, Shen Jie, Su Yuezeng, and Qian Xuefeng*, Co3O4 nanorods/graphene nanosheets nanocomposites for lithium ion batteries with improved reversible capacity and cycle stability. Journal of Power Sources, 2012. 202: 230. 8. Huang Shoushuang, Zai Jiantao*, Ma Dui, He Qingquan, Liu Yuanyuan, Qiao Qiquan, Qian Xuefeng*. Colloidal synthesis of wurtz-stannite Cu2CdGeS4 nanocrystals with high catalytic activity toward iodine redox couples in dye-sensitized solar cells. Chemical Communications, 2016, 52 (72): 10866. 10. Huang Shoushuang, He Qingquan, Chen Wenlong, Zai Jiantao*, Qiao Qiquan*, Qian Xuefeng*. 3D hierarchical FeSe2 microspheres: Controlled synthesis and applications in dye-sensitized solar cells. Nano Energy, 2015, 15 (0): 205. 12. Xiao Yinglin, Zai Jiantao*, Li Xiaomin, Gong Yong, Li Bo, Han Qianyan, Qian Xuefeng*. Polydopamine functionalized graphene/NiFe2O4 nanocomposite with improving Li storage performances. Nano Energy, 2014, 6 (0): 51. 13. Huang Shoushuang, He Qingquan, Zai Jiantao*, Wang Min, Li Xiaomin, Li Bo, Qian Xuefeng*. The role of Mott-Schottky heterojunctions in PtCo-Cu2ZnGeS4 as counter electrodes in dye-sensitized solar cells. Chemical Communications, 2015, 51 (43): 8950. 14. He Qingquan, Huang Shoushuang, Zai Jiantao*, Tang Nianqi, Li Bo, Qiao Qiquan, Qian Xuefeng*. Efficient Counter Electrode Manufactured from Ag2S Nanocrystal Ink for Dye-Sensitized Solar Cells. Chemistry – A European Journal, 2015, 21 (43): 15153. 15. Huang Shoushuang, He Qingquan, Chen Wenlong, Qiao Qiquan*, Zai Jiantao*, Qian Xuefeng*. Ultrathin FeSe2 Nanosheets: Controlled Synthesis and Application as a Heterogeneous Catalyst in Dye-Sensitized Solar Cells. Chemistry – A European Journal, 2015, 21 (10): 4085. 16. Xu Miao, Wang Min, Ye Tiannan, Liang Na, Jin Lun, Zai Jiantao*, Qian Xuefeng*. Cube-in-Cube Hollow Cu9S5 Nanostructures with Enhanced Photocatalytic Activities in Solar H2 Evolution. Chemistry – A European Journal, 2014, 20 (42): 13576. 17. Wang Min, Chen Wenlong, Zai Jiantao*, Huang Shoushuang, He Qingquan, Zhang Wei, Qiao Qiquan*, Qian Xuefeng*. Hierarchical Cu7S4 nanotubes assembled by hexagonal nanoplates with high catalytic performance for quantum dot-sensitized solar cells. Journal of Power Sources, 2015, 299 212. 18. Xu Miao, Ye Tiannan, Dai Fang, Yang Jindi, Shen Jingmei, He Qingquan, Chen Wenlong, Liang Na, Zai Jiantao*, Qian Xuefeng*. Rationally Designed n–n Heterojunction with Highly Efficient Solar Hydrogen Evolution. ChemSusChem, 2015, 8 (7): 1218. 19. He Qingquan, Huang Shoushuang, Wang Cheng, Qiao Qiquan*, Liang Na, Xu Miao, Chen Wenlong, Zai Jiantao*, Qian Xuefeng*. The Role of Mott–Schottky Heterojunctions in Ag–Ag8SnS6 as Counter Electrodes in Dye-Sensitized Solar Cells. ChemSusChem, 2015, 8 (5): 817. 20. Liu Xuejiao, Zai Jiantao*, Li Bo, Zou Jian, Ma Zifeng, Qian Xuefeng. Na2Ge4O9 nanoparticles encapsulated in 3D carbon networks with long-term stability and superior rate capability in lithium ion batteries. Journal of Materials Chemistry A, 2016, 4 (27): 10552. 22. Zai Jiantao, Liu Yuanyuan, Li Xiaomin, Ma Zi-feng, Qi Rongrong*, Qian Xuefeng*. 3D hierarchical Co-Al layered double hydroxides with long-term stability and high rate performances in supercapacitors. Nano-Micro Letters, 2017, 9: 21. 23. Wang Min, Zai Jiantao*, Li Bo, Wang Yan, Huang Shoushuang, He Qingquan, Qian Xuefeng*. Hierarchical Cu2-XSe nanotubes constructed by two-unit-cell-thick nanosheets: room-temperature synthesis and promoted electrocatalytic activity towards polysulfides. Journal of Materials Chemistry A, 2016, 4 (13): 4790. 24. Liang Na, Wang Min, Jin Lun, Huang Shoushuang, Chen Wenlong, Xu Miao, He Qingquan, Zai Jiantao*, Fang Nenghu, Qian Xuefeng*. High efficient Ag2O/Bi2O2CO3 p-n heterojunction photocatalysts with improved visible light responsive activity. ACS Applied Materials & Interfaces, 2014, 6 (14): 11698.